For more than 20 years, our modular home construction company has designed system-built modular buildings to integrate with pre-existing homes. These builds also work on their own with the proper modifications. We're driven and passionate about the work we do as we are able to save money for our clients, both on the immediate costs of construction and in the long run with energy costs. Working with a fast, effective modular home construction method is our expertise, but we still recognize traditional protocol. We never work without first consulting with our engineering team, who determines how your project will be affected by zoning requirements, availability of utility, and the existing structure of your home (if applicable). When plans and budget have been determined, our modular construction contractor then secures the proper permits. 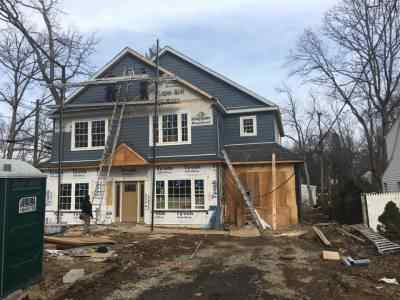 Team up with Modular Construction Services in Paramus, NJ, the modular construction contractor with decades of experience. Our staff is comprised of trustworthy experts who execute home designs projects with precision. Since 1997, our assembled on site company has helped homeowners throughout the area accomplish their renovation and construction needs. Whether you've contracted home building before or you're a first-time owner, we're happy to earn your trust by explaining every aspect of our building process to you. In fact, call us now for a free modular addition consultation and estimate.